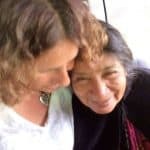 One Planet One People > Agenda > Maya Grandmothers from Guatemala, July 29 – August 4, 2018. Grandmothers Tomasa and Poxita are coming to Lothlorien. 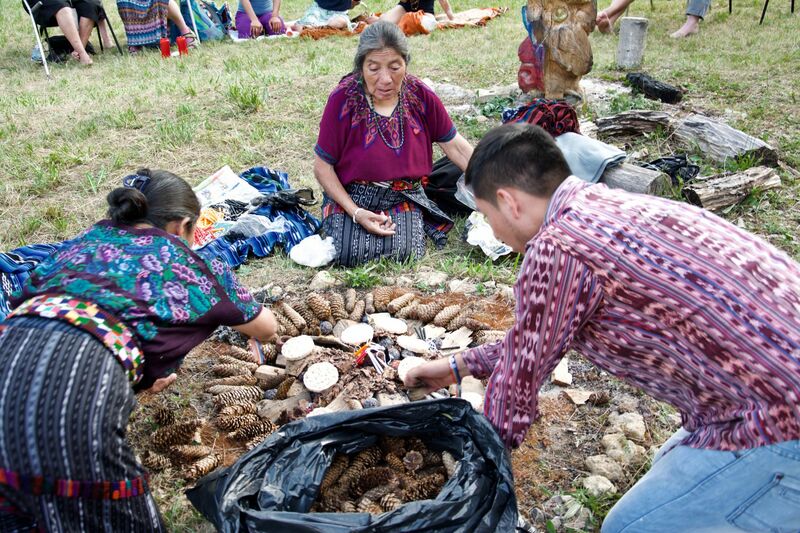 They will share some of their ancient Mayan wisdom about medicinal herbs with us and will also give ceremonies, individual consultations and massages. We look forward to the arrival of these beautiful women. Being in their presence already feels like a blessing. The grandmothers come from Chichicastenango, on the high plateau of Guatemala. In this part of Guatemala the population is largely of Indian origin and honors its traditional customs. The grandmothers work from their own homes to provide the much needed care for the local population. For example, the living room is used to treat patients, to have deliveries, to prepare their herbal remedies, as a massage room, as a teaching location and for ceremonies and prayer. They are two hard-working and very modest ‘Elders’. Together with others they have developed a plan to create Grandmother Tomasa’s dream, a Health Center for the poor Quiche Maya population. The main goal is to preserve the ancient knowledge of the Mayan people about staying healthy and healing. Lothlorien collected money last year to support this dream financially. The proceeds of this week also benefit this goal. There will be someone present to translate from Spanish into Dutch. More information about the program follows. Costs: € 195, – excluding accommodation costs and individual consultations.